Keep your assets out of probate when you die with this USA Declaration of Nominee Trust. A nominee trust is a trust created for the purpose of holding property on behalf of beneficiaries whose identities are kept secret. 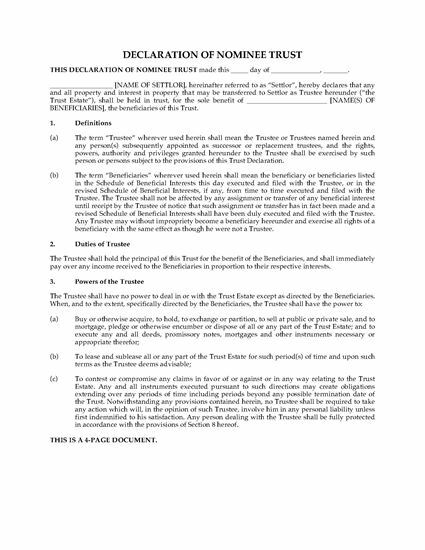 The trustee's sole duty is to hold the trust property and pay over any trust income to the beneficiaries. 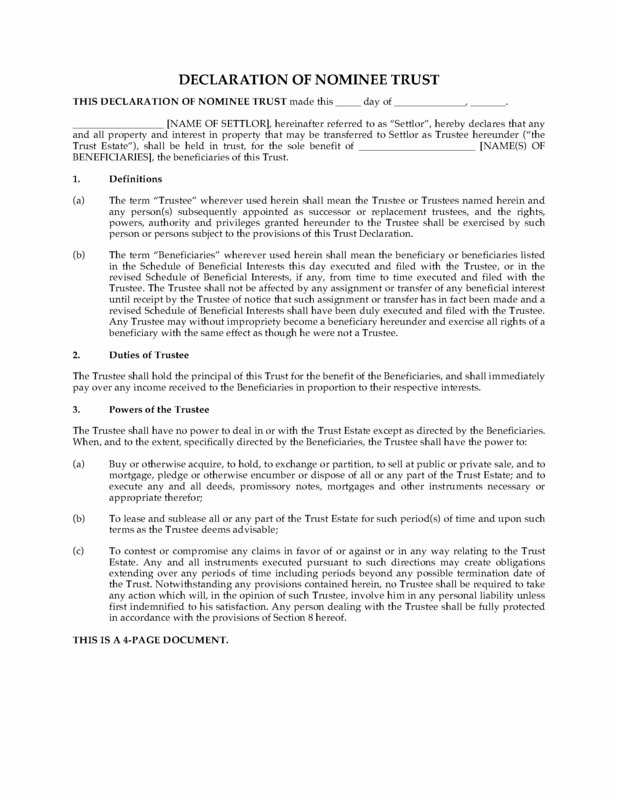 The trustee has no power to deal with the property except as directed by the beneficiaries. Unless terminated earlier by one or more beneficiaries, the trust will automatically terminate twenty years after its effective date. The trust will not be administered by any court. Any termination of the trust, amendments to the Trust Declaration, and any changes in trustees must be recorded in the county records. It's never to early to start your estate planning. Buy the USA Declaration of Nominee Trust and get started on yours now.